Marta Kauffman's latest season examines the lingering specter of death as everyone should: with mini pigs and adorable puppies. If Rust Cohle walked into Grace and Frankie’s beach house, snapped open a Lone Star, and started talking about time as a flat circle, Jane Fonda’s unflappable hostess would slip a coaster under his tall boy and make herself a martini. Lily Tomlin’s relentlessly positive hippie would probably crack a joke about some old peyote trip that had her seeing in 2-D for weeks. But they’d know what he’s talking about. These time-tested broads recognize how history repeats itself. They know many of life’s moments come back around in one way or another, and the weight of the past can be crushing. Their only twist on Matthew McConaughey’s tortured musings would be that they want the circle to continue; instead of feeling trapped in a constant loop of pain, they’d look for ways to keep things spinning. Because in Season 5, the best friends feel their time is running out. While the Netflix comedy has never shied away from heavy subject matter, Marta Kauffman and Howard J. Morris’ latest season finds motivation in a growing sense of an encroaching end — not for the show, which has already been renewed for Season 6, but for the characters. Things are going pretty well, all things considered, for the four leads, and they’re panicking (ever so slightly) while trying to preserve their newfound happiness. Grace and Frankie, along with their ex-husbands, have learned to embrace the lives thrust upon them at the start of the series — and are making decisions based on the time they have left. Once the status quo is restored, tried-and-true dynamics are explored once more. Frankie puts on her advocate hat to get her fellow senior citizens more time at a cross walk. (Those timers are pretty short.) Grace throws herself into work. 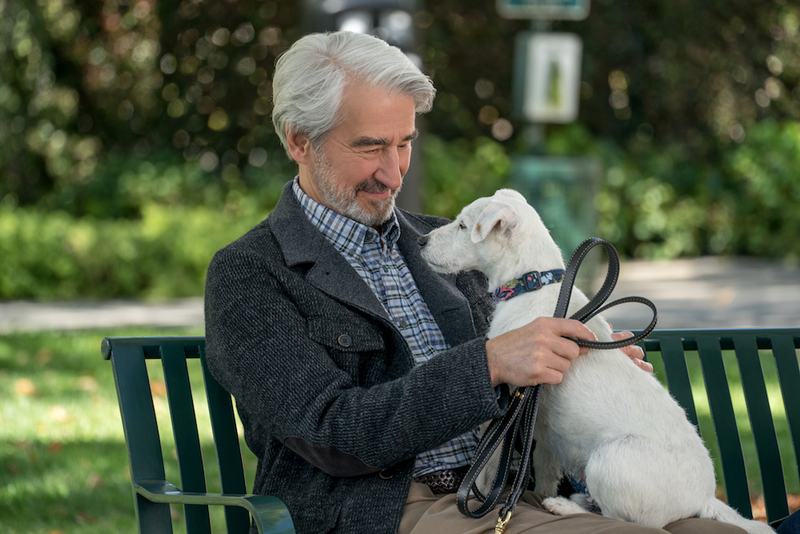 Robert (Martin Sheen) has a new musical to worry about, and Sol (Sam Waterston), well, Sol takes an interesting turn. Calling himself the “new Sol,” Frankie’s former husband and Robert’s current husband decides he’s not going to live his life for others anymore. While it’s true Sol has always been overly generous with his time and attention to friends and family, the onscreen shift is slight. He doesn’t cook dinner as much. He falls in love with dogs (purchasing a crazy cute Jack Russell puppy). He fights with Robert about what’s expected of him, without defining a new set of expectations. What’s clear (and worrisome) is that the “new Sol” may not be Robert’s ideal partner. Just as many couples struggle to adapt when one member changes independently, Robert and Sol enter an adjustment period. And while Robert expects dinner and extra attention from Sol, most of Sol’s issues with Robert are about keeping him alive. He gets mad when he drinks or eats a cheeseburger. He’s upset when Robert buys too many donuts or doesn’t get enough exercise. Sol is totally focused on keeping Robert alive, while Robert just wants to live while he’s still here. 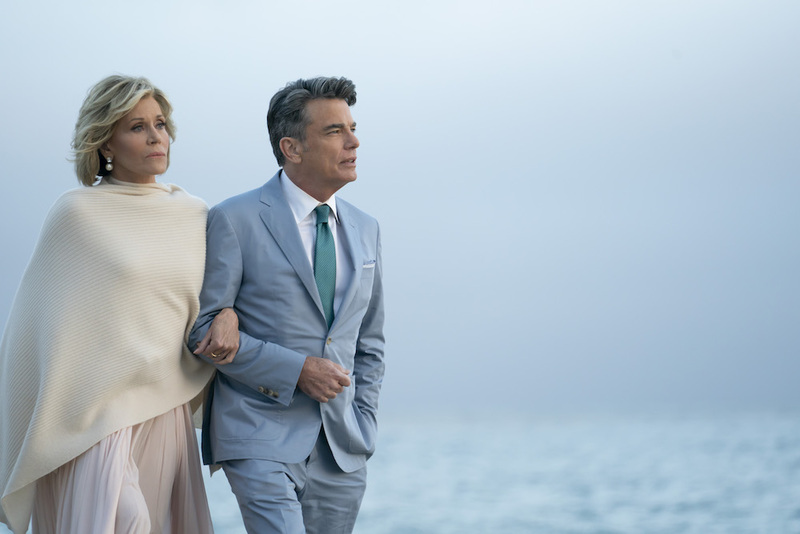 The couple never addresses their differing outlooks (not yet, anyway), but similar concerns pop up with Grace and Frankie, as well. First, Grace gets upset with Frankie when the kooky bohemian rediscovers her extreme rejection of conventional values. She recommits to veganism. She abandons the palatial house for a yurt. She says she’s going to shower even less. Grace sees these choices not just as a rejection of what Frankie has become, but a rejection of who Frankie has become while living with Grace. She thinks Frankie is retreating from their relationship and demands Frankie see the value in what they’ve built together. Frankie, of course, does just that. She’s always quick to admit her mistakes, just as Grace is stubborn in doing the same. But what Frankie’s panic comes back to is the same feeling Grace has about work: They don’t know what to value with the time they have left. When Grace complains to a friend about being so busy, the friend asks why she’s so focused on work? With the time they have left, why not spend it with her boyfriend, Nick (Peter Gallagher), her roommate, Frankie, or the rest of her family? Grace doesn’t have a good answer, so she tries to distance herself from the office. She quits the business she was running with her daughters, and when she and Frankie have a fight — Frankie tweets that they’ll give away free vibrators… to over 50,000 people — Grace goes on vacation with Nick, leaving her partner to clean up a mess she’d usually handle. Frankie feels abandoned and Grace feels free, causing the worst crisis of the season, but a flashback episode about what could’ve been (featuring Fonda with botched plastic surgery and Tomlin with exquisite purple dreadlocks) manages to re-center them both. Once again, the two friends come to realize why they need each other, even though they were borderline enemies before their husbands came out of the closet. And yet… Grace has made a big decision: She married Nick. How will that affect her relationship with Frankie? The two just recommitted to each other as friends and roommates, while Nick said he accepted Grace and Frankie as a “package deal.” Will that change when they’re married? Should it? Thus is the intriguing war within “Grace and Frankie.” The sitcom formula demands Grace and Frankie stick together, while the dramatic reality that edges its way into the series has led the narrative to this point. Grace and Nick aren’t moving, and Frankie isn’t moving out. For as much as the permanent roommate dynamic kept the show in dramatic stasis for most of Season 5, it also means Kauffman and her writing team will have to come up with a way to explore how a romantic couple and a platonic friend can live together in harmony; how a friendship and a romance can blossom under the same roof. It’s not the edgiest concept, but the value of friendship has been Kauffman’s field of study for the last three decades — how her views have developed should make for more great TV. Moreover, time is running out. Even though “Grace and Frankie” has been renewed for Season 6, there’s always been a sense of covetous appreciation around the set. Fonda and Tomlin want to make more seasons, more often. Kauffman has been making the rounds to panels and press, excited to talk about subject matter (and a show) she loves. Six seasons is a long run for a series. How much longer can it last? How fresh can it remain? When will it be time to say goodbye, and what do they want to do before then? With age comes experience, with experience wisdom, and the power trio behind “Grace and Frankie” know to appreciate a good thing while it’s happening. Seniors are often told they’ve “earned the right” to walk slowly, drive slowly, and live slowly, while the rest of the world speeds by. But Grace and Frankie have also earned the right to live as they please, whether it fits the traditional mold or not. The same goes for their creators, who’ve earned the right to make whatever show they please. Time may be a flat circle, where certain melodies loop over and over again, but these ladies just want to find a way to keep the record spinning a little longer. “Grace and Frankie” Season 5 is streaming now on Netflix. The series has already been renewed for a sixth season.